In 2011, the SIMLEZA-Africa RISING project was introduced in the village of Kanyanyata in Hoya agricultural camp, Lundazi district (Zambia). The project was premised on the assumption that improved agronomic practices such as conservation agriculture (CA) would increase the productivity and resilience of the farming systems of this village and beyond. Mr. Stephen Nyirenda, a 38 year old farmer with 12 children from Kanyanyata village, was one of the host farmers who participated in the project from the onset. 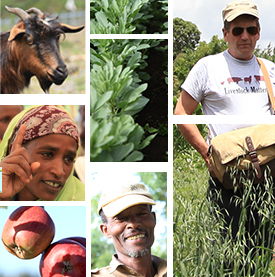 Four cropping seasons after the introduction of the project, Mr. Nyirenda proudly described the benefits he has accrued as a result of practicing conservation agriculture. “Rainfall has been problematic in recent times. This has made ridging an unhelpful option as maize planted on the ridge in the advent of scanty rains struggles”, says Mr. Nyirenda. “With maize planted on the ridges, fertilizer will drain into the furrow. The maize also struggles to germinate in ridged fields with a lot of striga weed infestation” adds Nyirenda. “What makes the ripper systems good is that once the maize germinates there is no problem even when rainfall is insufficient and fertilizer stays where it was applied” concluded Nyirenda during a discussion. At inception, in the 2011/12 cropping season Mr. Nyirenda started with a 0.20 ha area where rip-line seeded CA systems were demonstrated and compared with the traditional ridge and furrow system. Mr. Nyirenda pointed out that crop productivity from the same piece of land has increased over the past four years of CA management and hence he has increased his land area under CA. “I have been practicing CA in my own field because of the good performance I have seen in the demonstration plot” said Mr. Nyirenda. 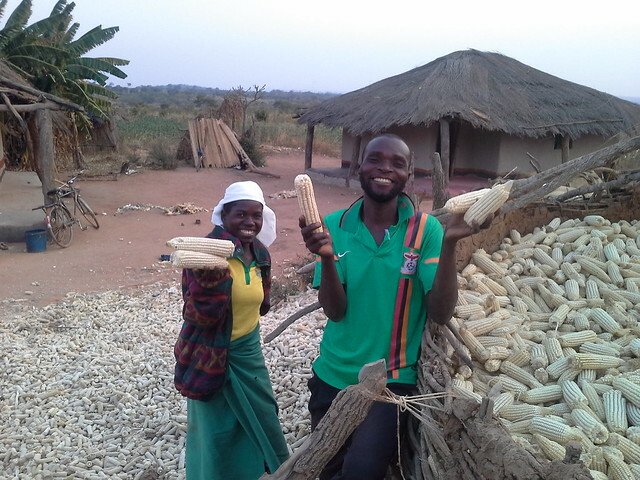 In the 2012/13 cropping season, the second year of the SIMLEZA-Africa RISING project, he expanded the conservation agriculture area and grew maize. 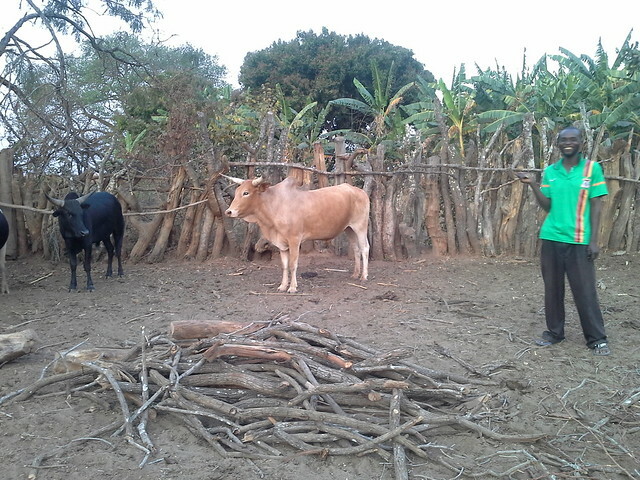 After selling the maize grain, Mr. Nyirenda bought a cow. In the third season of the project the farmer expanded the conservation agriculture area even more and grew maize. He bought another cow after selling part of the maize grain. In the 2014/2015 cropping season, Mr. Nyirenda grew soybean (0.4 ha), cotton (2 ha) and maize (3 ha) under CA. “SIMLEZA-AR methods are good, you can get high yield from a small piece of land” is Stephen Nyirenda’s summary of the project. His increasing wealth, witnessed by growing herd of cattle speaks for itself. Tags: africa rising, CIMMYT, Conservation agriculture, IITA, Scaling, zambia. Bookmark the permalink.